Owner, Jenny has been farming since she was a little kid in her grandmother's garden. Her great-grandparents were farmers from England so she has a very long history of "farm blood" in her past! She graduated from UMass, Amherst with a Bachelor's degree in Landscape Architecture in 1999. She then went on to start/run a small garden center in Maine for 10 years. 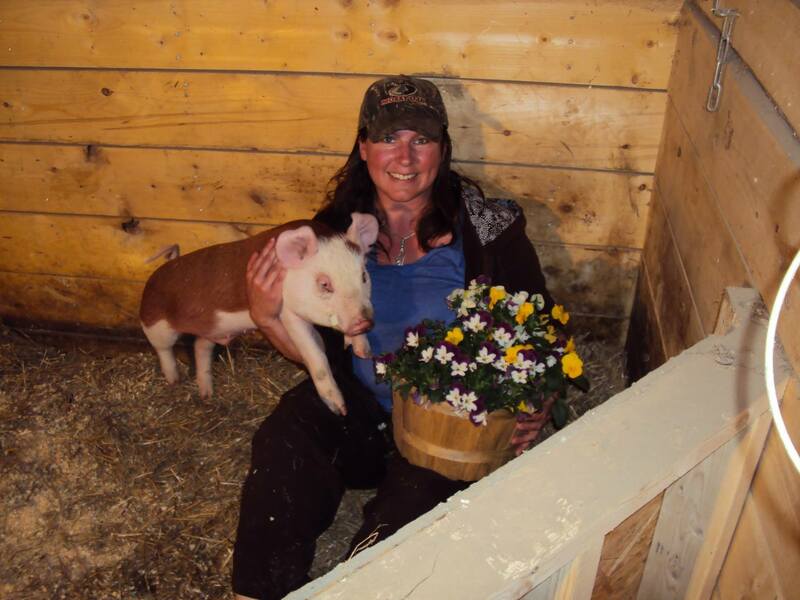 She moved to New Hampshire in 2010 to pursue more of her farming passion, thus began Ridge View Farm! Ridge View Farm is an 18 acre piece of ground nestled on a hill-top overlooking Mt. Monadnock in Gilsum, NH. The farm is a combination of Jenny's passions for horticulture, crop farming, and raising livestock. The focus of the farm is on raising and preserving heirloom and heritage products. There is never a dull moment at Ridge View. Depending on the season you will find gorgeous plants bursting out of the greenhouse, a warm and snuggly litter of week old piglets in the barn, a truck-load of sun-ripened strawberries coming out the garden, or freshly harvested garlic curing in the hay-loft. Stop in and say hello, there is always time to meet new friends!